Instantly downloadable sheet music by Christine McVie for voice and other instruments of MEDIUM skill level. Instantly downloadable sheet music by Paul Simon for voice and other instruments of MEDIUM skill level. Instantly downloadable sheet music by Mike Reid for voice and other instruments of MEDIUM skill level. Instantly downloadable sheet music by Kris Kristofferson for voice and other instruments of MEDIUM skill level. Alle Notenausgaben von Me And Bobby McGee zum Herunterladen bei VirtualSheetMusic. Instantly downloadable sheet music by The Edge for voice and other instruments of MEDIUM skill level. Alle Notenausgaben von Numb zum Herunterladen bei VirtualSheetMusic. Alle Notenausgaben von One Tree Hill zum Herunterladen bei VirtualSheetMusic. Instantly downloadable sheet music by William Horton for voice and other instruments of MEDIUM skill level. Alle Notenausgaben von Get A Job zum Herunterladen bei VirtualSheetMusic. Alle Noten von William Horton zum Herunterladen bei VirtualSheetMusic. Instantly downloadable sheet music by Robin Gibb for voice and other instruments of MEDIUM skill level. Instantly downloadable sheet music by Simon and Garfunkel for voice and other instruments of MEDIUM skill level. Alle Notenausgaben von The Boxer zum Herunterladen bei VirtualSheetMusic. Instantly downloadable sheet music by Chuck Berry for voice and other instruments of MEDIUM skill level. Alle Notenausgaben von Roll Over Beethoven zum Herunterladen bei VirtualSheetMusic. Instantly downloadable sheet music by Nicholas Grant for voice and other instruments of MEDIUM skill level. Alle Notenausgaben von Tumble And Fall zum Herunterladen bei VirtualSheetMusic. Alle Noten von Nicholas Grant zum Herunterladen bei VirtualSheetMusic. Alle Notenausgaben von Angel Of Harlem zum Herunterladen bei VirtualSheetMusic. Alle Notenausgaben von Stay (Faraway So Close) zum Herunterladen bei VirtualSheetMusic. Instantly downloadable sheet music by Stone Gossard for voice and other instruments of MEDIUM skill level. Instantly downloadable sheet music by Freddie Mercury for voice and other instruments of MEDIUM skill level. Instantly downloadable sheet music by Ronald Miller for voice and other instruments of MEDIUM skill level. Alle Notenausgaben von For Once In My Life zum Herunterladen bei VirtualSheetMusic. Alle Noten von Ronald Miller zum Herunterladen bei VirtualSheetMusic. Instantly downloadable sheet music by Malcolm Young for voice and other instruments of MEDIUM skill level. Alle Notenausgaben von T.N.T. (Drums) zum Herunterladen bei VirtualSheetMusic. Instantly downloadable sheet music by Paul Vance for voice and other instruments of MEDIUM skill level. Alle Notenausgaben von Leader Of The Laundromat zum Herunterladen bei VirtualSheetMusic. Alle Noten von Paul Vance zum Herunterladen bei VirtualSheetMusic. Instantly downloadable sheet music by James Taylor for voice and other instruments of MEDIUM skill level. Alle Notenausgaben von Traffic Jam zum Herunterladen bei VirtualSheetMusic. Alle Noten von James Taylor zum Herunterladen bei VirtualSheetMusic. Instantly downloadable sheet music by Roger Christian for voice and other instruments of MEDIUM skill level. Alle Notenausgaben von Ride The Wild Surf zum Herunterladen bei VirtualSheetMusic. Alle Noten von Roger Christian zum Herunterladen bei VirtualSheetMusic. 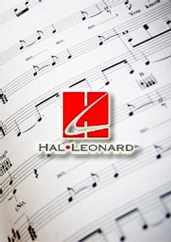 Alle Notenausgaben von If God Will Send His Angels zum Herunterladen bei VirtualSheetMusic. Alle Notenausgaben von Until The End Of The World zum Herunterladen bei VirtualSheetMusic. Instantly downloadable sheet music by Van Morrison for voice and other instruments of MEDIUM skill level. Alle Notenausgaben von Avalon of The Heart zum Herunterladen bei VirtualSheetMusic. Alle Notenausgaben von Graceland zum Herunterladen bei VirtualSheetMusic. Instantly downloadable sheet music by Bill Ward for voice and other instruments of MEDIUM skill level. Alle Notenausgaben von Paranoid zum Herunterladen bei VirtualSheetMusic. Alle Noten von Bill Ward zum Herunterladen bei VirtualSheetMusic.